This Seller sold his condo over full price in less than 5 days by following the Diva’s advice. 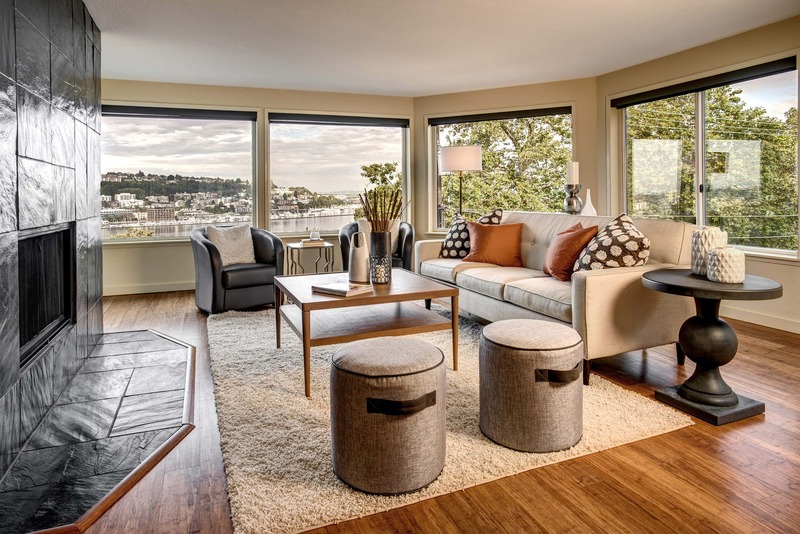 Are you ready for some seller tips for a stellar home sale in Seattle this year? Right now Seattle housing inventory is scarce. There are way more buyers than houses to buy. And yes – interest rates are still crazy low, hovering around slight under 4% for a conventional 30 year fixed loan. All this points to a killer “Seattle Sellers’ Market.” So if you are considering selling your home this year – read on peeps. Here are some tips from the Diva for a stellar home sale this year. Follow these simple rules, get your home on the market and before you know it – bada bing bada boom – BUYERS! Today’s buyers are not the buyers of 2007. They are more fiscally conservative due to the lessons of the recession. And because of the über competitive market, they are being pushed to put most of their hard earned dough up front as a down payment. Bottom line – they have little cash for repairs. Our advice is to get the work done before you list. Whether it is a roof, a sewer repair or a watery basement – best bet is to fix it now. This will ensure you are getting the best buyers with the best financing and no fear of pushing their price. Plus, there is way less chance of your deal flipping on inspection during the sale. Also don’t assume a pre-inspection will save you from dealing with a major issue – multiple offers or not. A sewer repair is not something you want popping-up before you have a signed offer. Trust me. Been there done that and it is not fun. Deferred maintenance on big ticket items can scare away buyers with the best financing and could lower your chances of getting more buyers to the table. Want top dollar for your home? Well, to get the best price, your marketing has to be top notch. That means don’t settle for an agent that does not pay for professional photography and video or who does not use social media to drive buyers to your listing online. According to NAR’s Digital House Hunt report: 90% of homebuyers searched online during the home buying process AND real estate related searches on Google.com have grown 253% over the past 4 years. If your agent isn’t making your home look as fab as possible on the interwebs than buyers will bypass your home for a swankier one when it’s time to hit the streets. To the previous point, if your agent is going balls to the wall and doing everything possible to sell your home – professional photography, video, blogs, email marketing, social media, Facebook ads, etc – then it is only fair that your home truly shine. Not just online but in person as well. This means more than just de-cluttering and replacing light bulbs. Does this mean you have to gut and remodel your 50’s kitchen? Nope. But you may have to say goodbye to that lovely mustard yellow Formica, repaint that peeling siding, replacing the bedroom carpet Fluffy used to sharpen her claws or – all three. It is amazing what some simple spiffing up will do to bump up your online views and showings. Which only leads to more buyers for you! Staging an empty house might be ideal but not every seller can move themselves, the kids and the dogs out of the house before they list and then pay for top of the line staging. And to be honest, not every seller needs to move out. That said, even if you are staying in the home while it is listed – it still needs to LOOK staged. So first step – make sure your agent has good taste (or knows someone who does) when the time comes to “re-stage” for the sale. Re-staging is often cheaper than completely staging an empty home, even if there is extra storage space that needs to be rented for that rarely used treadmill or art that needs to be purchased for those bare white wall. There are tons of short-term storage options and guess what – you can rent art from the Seattle Art Museum. I mean how cool is that! We at Team Diva know what it takes to make your home look diva-rific and we love helping our Diva Dwellers “swank up their home” for the sale. The more “staged” your home looks the more those buyers will swoon! To piggyback on our previous point – if you are not moving out of the house to sell then we suggest you take the family on a mini vacation. Having your home on the market is extremely stressful. You never want to limit access to your home which means it has to be easy to show at all times. Which also means – it has to look as perfect as possible ALL THE TIME. Talk about stressful! No need to deal with buyers crawling around your home night and day, constantly having your dinner or breakfast interrupted and agents calling to show as they are standing in your driveway. Just pack up the family and make yourselves scarce. Your first week on the market is the hottest time to get those buyers in the door so take a nice relaxing weekend get-away and let the buyers flow! More than likely when you come back there will be offers waiting for you to review. Can you follow all these great tips and still not sell your home? Sure can! Why? You got cocky and overpriced your home. Period. All else could be perfect in your selling world but if the price ain’t right – it will sit. Even in this hot market buyers are savvy and cautious. Shoot for the conservative side of list price. Wouldn’t you rather have a slew of anxious buyer beating down the door for your house than having it languish on the market for weeks? Then you may be stuck having to deal with the first buyer willing to write – who will probably torture you on the price AND the inspection because they think the can. When the price is right from the start – you have the best bet of getting solid buyers, a stress free transaction, a short closing, and top dollar! Now with all these great tools for a stellar sale at your disposal – success will surely be yours this year! If you are even thinking about selling your home this season take a moment to give the Divas a call. We are happy to chat with you about how we can help you get the best price, the best buyers and have stellar stress-free sale this year. And – the coffee (or cocktail) is on us!